Give a modern touch to your interior with our collection of contemporary wall decorations ! 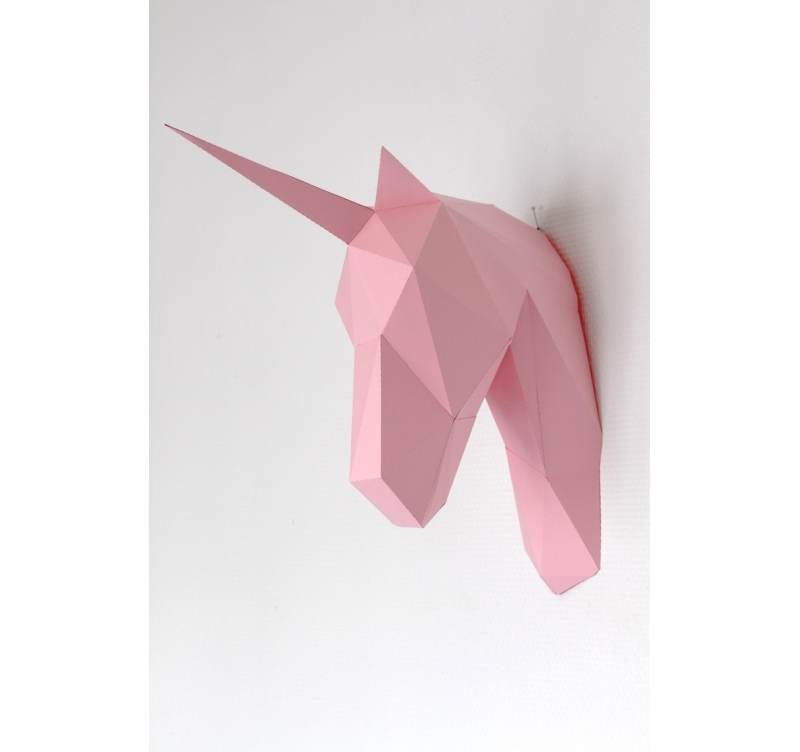 Discover this deco unicorn head Sculpaper in a design wall trophy. 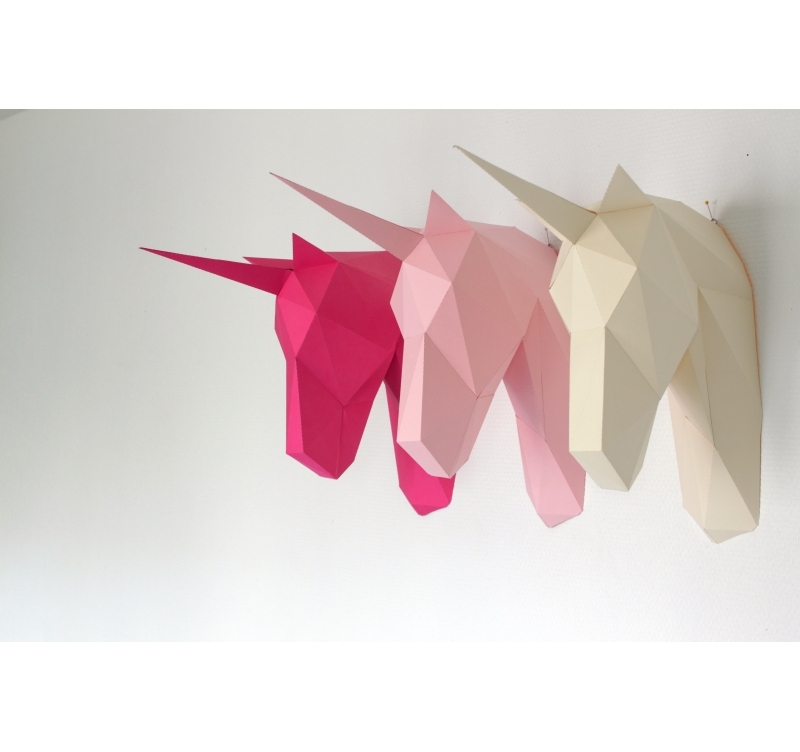 Create yourself this paper mystical animal using our DIY deco kit. The paper glue for this lounge wall decoration is not included in the box. A modern wall trophy of the fabulous unicorn for your interior decoration with Sculpaper ! 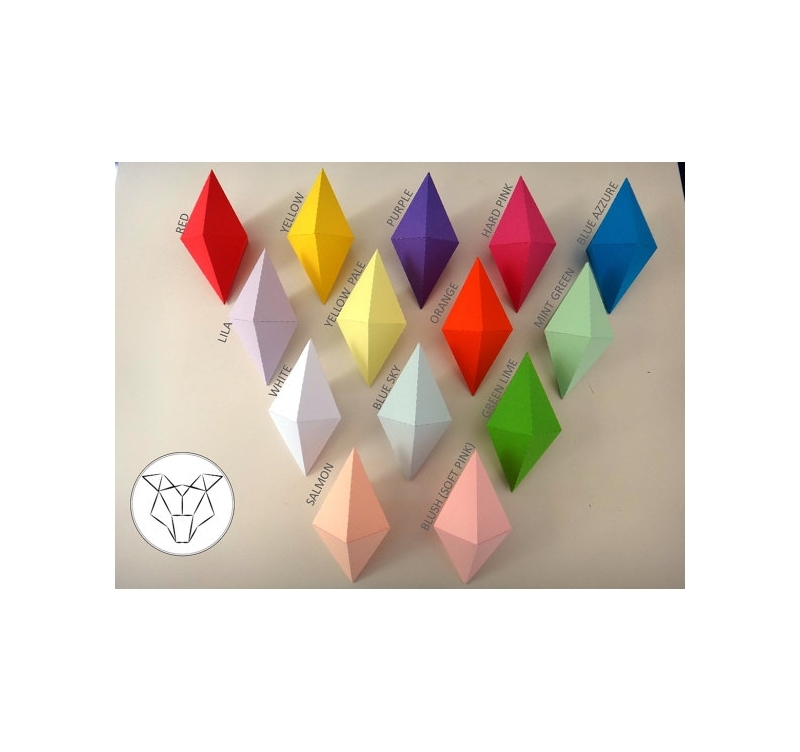 For all original deco and design lovers, this paper animal head deco is for you to create very easily with the help of our instructions. 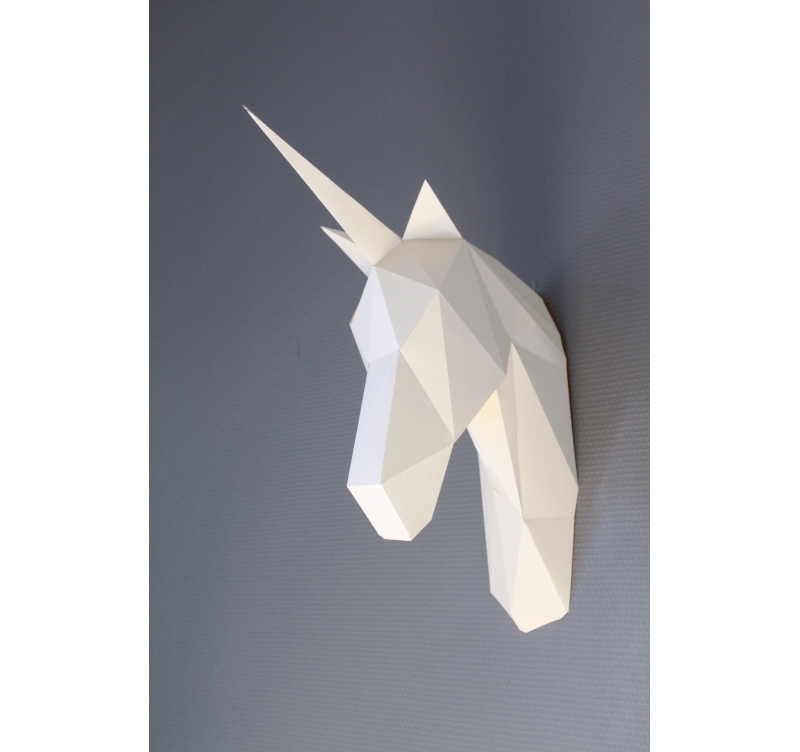 Once delivered free in metropolitan France and Belgium you can find all the pieces composing this unicorn design wall decoration. Just follow the instructions to have a unique decorative experience with our contemporary paper wall trophies. 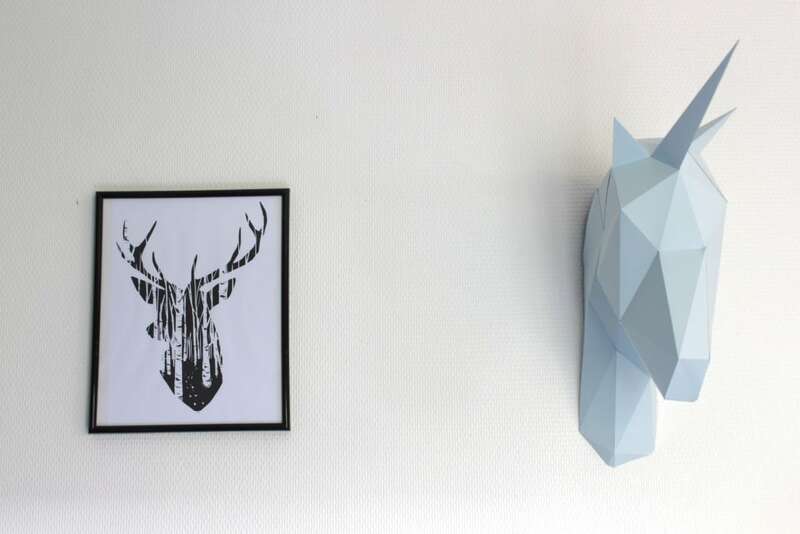 You can choose the colour of our animal heads trophies according to your interior and the style you wish to have for your wall decoration. For a unique style you can also hang up those animal wall decorations in your bedroom or your children’s. Please note that each design wall trophy is delivered without its glue. Once put together you only have to hang up this trophy wall decoration to the wall chosen and that is all !